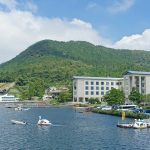 A July 14 New York Times article on Japan’s efforts to revive the Trans-Pacific Partnership trade pact drew on insights from Sasakawa USA Distinguished Non-Resident Fellow Tomohiko Taniguchi. 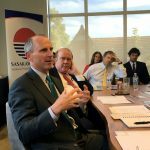 Sasakawa USA’s Fourth Annual Security Forum brought together government officials, academics, and security experts for a day-long conference on Asian security within the context of the U.S.-Japan alliance. 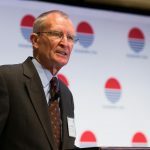 The event provided diverse views on challenging issues with panel discussions on topics such as congressional views on trade, U.S.-Japan defense policies, the North Korean threat, and cybersecurity cooperation. 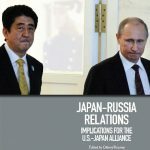 Sasakawa USA held a discussion on Japan-Russia Relations: Implications for the U.S.-Japan Alliance, a new volume based in part on a conference convened last year to explore the triangular relationship among the United States, Japan, and Russia. 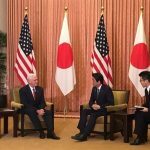 Sasakawa USA and The National Bureau of Asian Research looked back on the past 25 years of the U.S.-Japan relationship with an emphasis on the unlikely role of the Seattle Mariners.